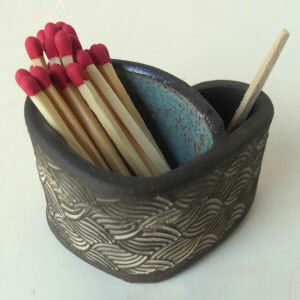 This small box holds Strike anywhere matches, Strike anywhere on the texture of the box and the match will light. the side pocket is for used matches. Categories: Boxes & Bells, Dishes. 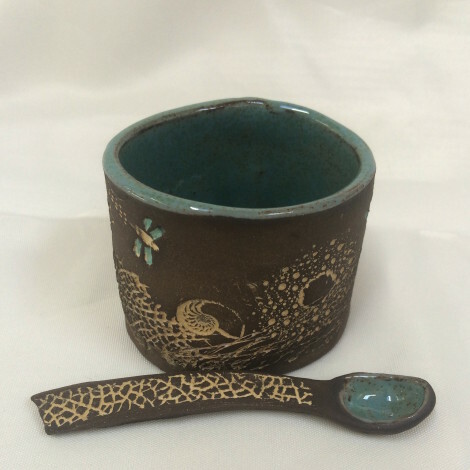 Tags: box, Chocolate, fire, matches, strike, texture, toothpick holder, turquoise.